The official explanation about why Oswald’s CIA 201 file was opened more than thirteen months after his defection in Moscow is not convincing. The Agency has long since claimed that a series of U.S. defections to the Soviet Bloc led to a 25 October 1960 State Department request to the CIA for information on a list of twelve defectors. Oswald’s name was on the list. This alone, the CIA assured the House Select Committee on Assassinations (HSCA) in 1978, was the reason they so belatedly opened a 201 file on Oswald. However, the 1992 passage of the JFK Assassination Records Act led to the release of CIA documents that challenged this claim. Two points in this sentence stand out. First, Oswald’s queries about coming home had to have begun before the opening of the 201 file (9 December 1960). Second, Kalaris’ placement of quotation marks around the word defection render it as a possible so-called or pretended defection. In addition to opening the door to a possible false Oswald defection, the new CI chief also let another huge genie out of the bottle. At the time of the 201 opening on 9 December 1960, the CIA supposedly did not know where Oswald was, let alone that he had made inquiries about coming home. So, if the Kalaris memo is right, the CIA to have known in early December 1960 that Oswald had made queries about returning to the U.S. In Chapter One of Countdown to Darkness, I laid out evidence showing that the CIA very likely had a clandestine Soviet source—probably in the KGB. In Chapter Eighteen I lay out evidence showing that this must also have been the case in late 1960, when the KGB intercepted the first inquiry Oswald made to the U.S. Embassy in Moscow about coming home. The letter was not returned into the postal system. Therefore, there is no way to reconcile the Kalaris memorandum without a CIA source in Soviet intelligence that provided the information about Oswald’s first letter. Kalaris’ memo reveals an important CIA penetration of Soviet intelligence. This tells us that the KGB and CIA were both watching Oswald closely—something both agencies have denied vehemently. Why? Oswald became radioactive due to the Kennedy assassination. 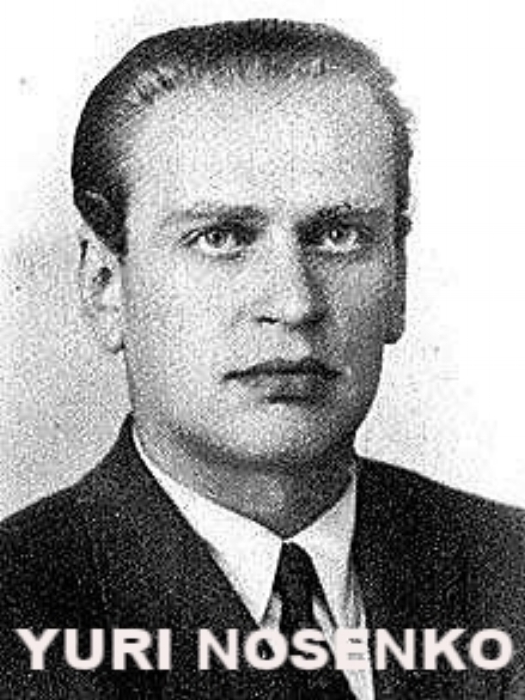 The Yuri Nosenko defection to the U.S in the wake of the assassination was a critical episode in this story, and I will be watching the Nosenko case closely in the remaining volumes of my series on the assassination of President Kennedy.